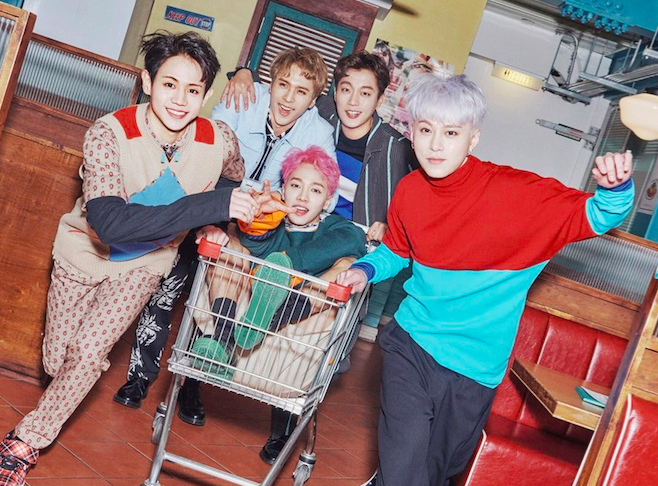 Highlight and their cheerful return with “Plz Don’t Be Sad” MV – Hello Asia! Highlight has finally returned, or should I say, have officially debut under their new name! “Plz Don’t Be Sad” is the title track to their first mini album ‘Can You Feel It‘ which is not only under the group’s new name, but also the first release to their self-established company, Around Us Entertainment. The track is an upbeat pop song that brings out the members inner child! Matching the poppy beat, the music video is vibrant in colour and accompanied by an adorable and fun dance choreography. To match the debut theme and rookies having name tags; the members are seen to be wearing robes with nicknames on their back. Doojoon aka the leader, Junhyung as 19+, Yoseob the singing king, Gikwang as Kwanggu, and finally Dongwoon as Dongni Pongni. The song was written and produced by the well known Good Life duo, consisting of member Junhyung and producer Kim Taejoo. Junhyung has also explained that the song was created with the intention to spread positivity to their fans. Let us know what you think of the boys long awaited comeback!